An agent whose name I have seen several times with offerings but who has no deals listed under her name on Agent Query or P.M. has asked to see my complete manuscript. She requires a 1 year contract. (Yes I know I'm getting ahead of myself.) 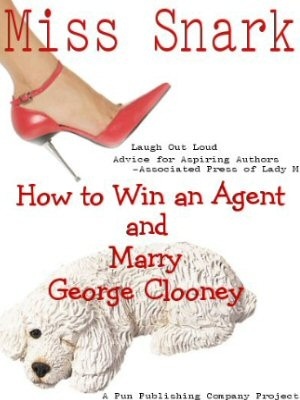 I've heard "no agent is better than a bad agent." On the other hand, everybody has to start somewhere..so.. your thoughts? First, let's all remember that PM and AQ are self-reporting websites. Not all agents post their deals there. The key piece of information you need to find out is this: has this agent made any sales. Don't assume she hasn't just cause you can't find them on the web. ASK. It's ok to ask at this stage. She wants your full, that means she's interested in your work. If she's new to the biz, she may not have any sales at all. In that case, ASK about her previous experience. If she has not ever worked in a company that does book deals, on either side of the desk, I'd be wary. I see a lot of websites with well intentioned people who want to help authors sell their books but what they don't know about how to do that or who to approach would be a book in and of itself. As for the one year contract, there are several quite reputable agents who do that. They give you a year and if they can't sell it, you're released from the agency. An inexperienced agent is not a bad agent by default. And "experience" isn't some sort of universal either. I'm pretty experienced but if you hand me category romance, I'd be a VERY bad agent since I don't know the genre, don't read it, and don't know the editors who buy it. I second Miss Snark. I once worked with a very well-intentioned agent with zero experience. She was the wife of a well-known SF author, and was used to rubbing elbows with editors at cons. This made her think she had experience, or at least contacts. She did not. A year later, she had not sold the book, and had only submitted it one place. We parted ways. I'm wiser now, and I have learned much from Miss Snark. First question out of an author's mouth when an agent offers representation should always be, "What have you sold?" This is not an insult to the agent. We're all professionals here (or strive to be). It's just good business. If an agent is in a large agency, and said agent doesn't handle romance, wouldn't the unromantic agent pass a great romance manuscript to the agent who daydreams of bodice ripper covers? Or does the first agent simply not read the ms, and pass? I find it interesting to hear how different agents work. So some agents have a one year contract, others don't. Thanks, Miss Snark, for helping us identify what is a red flag issue and what isn't. bran raises an interesting question. Are there some manuscripts an agent falls in love with enough to take on that he or she can't get editors to look at? If I find the one (reputable) agent who thinks my work is the next big thing, and he can't get attention, is that his fault, or is it the work? I mean, can't you twist a few arms? Call in a few favors? I've seen an agent or two on AgentQuery who had no sales listed, but who I know have made some pretty good sales. Here's a related question -- If the writer has researched this agent and believes her work to be something that agent would be interested in representing, wouldn't the question of what's been sold already be pretty obvious? Would an agent who hears "What have you sold" just think a writer has no idea what s/he likes? Writers should do their research before they submit to an agent, not when an agent has offered for them! If you have any concerns about an agent at all, don't waste your time (or their time) querying them. Your queries should only be to those you would be happy to be represented by.